With a large quilt batting 93” and adding more width, I use weights on either side of the batting to hold it in place. 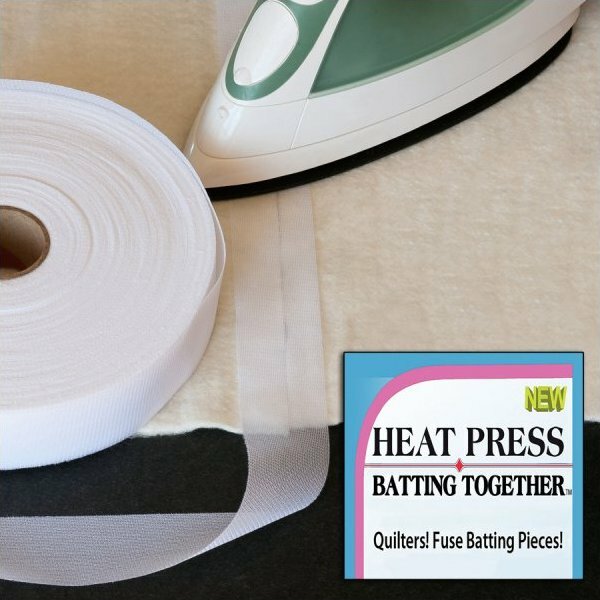 Simply lay tape over cut edges and slide the iron over the tape without any pressure – “smooth out the tape” with the heat of the iron. The batting tape needs only be applied to one side of the batting. It holds through washings and dry cleanings. It doesn’t gum up the needles and can be stitched by hand or by any machine.